The secret’s finally out. One of our favorite up-and-coming counties in North Carolina has seen record growth numbers in terms of population, jobs, and housing over the last several years. Brunswick County, off the North Carolina coast, has seen a 47% growth in population over the last decade, and is steadily increasing residents each year. With recent job growth and housing appreciation on the up – it’s no wonder families and retirees from all over are flocking to the coastal communities more so than ever. Whether it’s the beautiful location, active lifestyle, or quaint community feel – you’ll find many reasons to consider Brunswick County your new perfect place to call home. 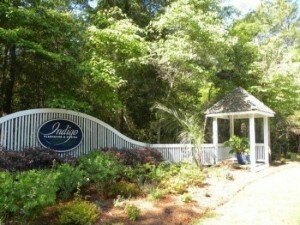 Located in the vibrant downtown of Southport, North Carolina, Indigo Plantation is one of our favorite neighborhoods for families in Brunswick County due to its custom built homes, natural wildlife, and quaint community feel. The community is situated in one of the most charming towns on the North Carolina Coast and offers scenic water views, historic landmarks, and charming character all in one place. Indigo Plantation was built among one of North Carolina’s protected Maritime forests, giving homeowners daily views of nature and wildlife that can only be seen on the North Carolina Coast. When originally developed by Bald Head Island Ltd., to use as their departure location for the Bald Head Island ferry, it was planned with the upmost preservation of natural landscaping throughout. Since relocating the Bald Head Island ferry landing in recent years, Indigo Plantation has emerged as one of the most coveted spots for homeowners in the region. With Indigo marina, a clubhouse, pool and tennis courts – the neighborhood continues to offer one of the most amenity-dense, scenic, and family-friendly environments around. A relatively new community in Brunswick County, St. James Plantation was founded in 1999 along the coast of North Carolina. Also only a 5 minute drive from vibrant Southport, NC – St. James Plantation is home to a large population of active retirees as well as a growing population of young families. The active lifestyle so prevalent in St. James Plantation is what appeals to both generations, young and old, and continues to build a community only young at heart. Home to four golf courses, a variety of tennis courts, swimming pools, and a beach club – there is never a shortage of things to do in St. James Plantation. The area consists of approximately 4500 residents whom spend their time outside almost all year long – thanks to a mild year-round climate and an ideal location along the Intracoastal Waterway. The community is also perfectly situated between two metropolitan areas – Wilmington, North Carolina and Myrtle, Beach – which makes endless entertainment options only a short car ride away. With the amenities of a resort destination and the privacy of a gated, residential community, St. James Plantation offers residents both luxury and peace of mind. Additionally, it hosts an award-winning Service Club and a variety of other community service opportunities – making St. James Plantation not only an appealing neighborhood to be a part of, but also a rewarding one as well. On the southwest end of Brunswick County lies a quaint seaside town that’s perfect for families of all ages. It’s no surprise that real estate continues to be in high demand in Ocean Isle Beach due to its island-like lifestyle, year-round activities, and notably – its seven miles of white, sandy beach. 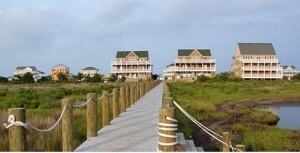 The beach community consists of a small, quiet population of just over 500 residents year-round. 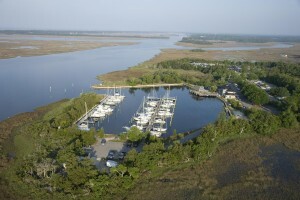 The island is only connected to the mainland by a bridge over the Intracoastal Waterway – affording a luxurious privacy to homeowners when tourists aren’t in town. Parents of young children are pleased to find that Ocean Isle Beach is located in a highly ranked public school district for elementary through high. During summertime, there are constant activities being held for children – put on by the Ocean Island Beach Community Center – that spill over into extra-curricular activities during the school year as well. Restaurants on the island are known for their fresh-caught seafood and bars are known to host live, local music on the weekends. However, with its seven miles of pristine beach – Ocean Isle residents have all they really need, residing in a permanent vacation 7 days a week. Choosing the perfect home for you and your family can be overwhelming and stressful if done without the right knowledge and care. That’s why choosing a realtor with experience, knowledge, and focus is essential to making your move as peaceful and financially sound as possible. Coastal Realty Connection boasts more than 20 years of experience in these very areas of Brunswick County. Having specialized in North Carolina coastal communities all of our life, we offer vast knowledge of the area and a well-connected network to ensure you get the right attention and service you deserve. Call us today for an enquiry.